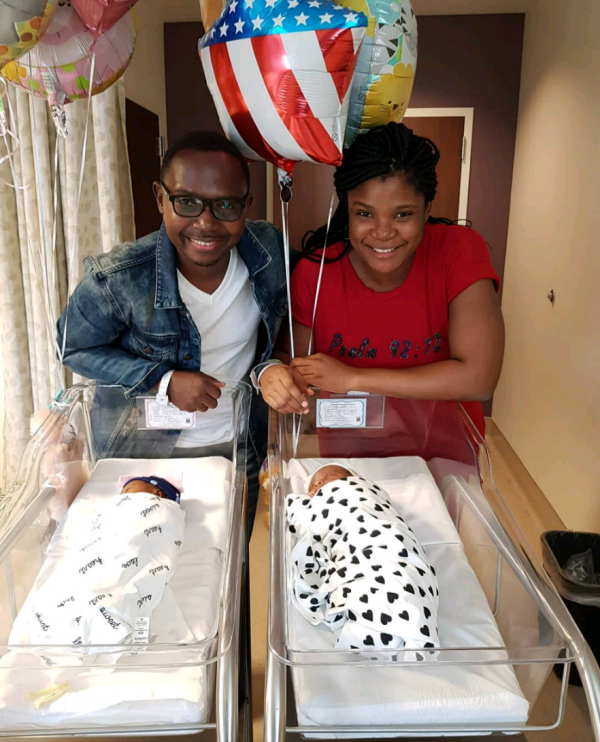 Comedian and Tv host, Olateju Oyelakin popularly known as Teju Babyface after six years of marriage just became a father of a set of twins two months ago. The happy father and his wife, Tobi Oyelakin with full delight dedicated their babies on Sunday, July 1 in Lagos. The couple welcomed their twins in April 2018 and on returning to the country had a grand dedication ceremony at DayStar Christian Centre in Lagos. Teju Babyface shared a post to show his appreciation to God and also let people know that God listens.